Linda S. Parsons, 71 of Marion passed away unexpectedly Monday, February 13, 2017 at Marion General Hospital following a 4-year illness. She fought a courageous battle and had been a pillar of strength to her family. She was born June 1, 1945 in Marion to Abram N. Ransome and Ruth E. (Shields) Ransome Webb. She was preceded in death by her father and her step-father, Leonard Webb Sr.
She was a member of the First Baptist Church in Richwood. 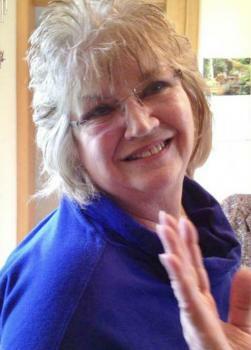 She worked for Honda of America in Marysville as a Safety Coordinator for 10 years. She had been an over-the-road truck driver with her husband for Fed Ex, frequently making trips to California. She was known for being good at going forward, but had trouble backing up. She and her husband owned and operated Mikey’s in Marion for 9 years, which later transformed into the business of Beer Bubbles. Linda was the kind of person who loved to have fun. She worked for the Marion County Big Brothers and Big Sisters, where she was also a Big Sis. She was an animal lover, especially cats, and her dog, Sadie that she rescued from the roadside while traveling near St. Louis. Linda was an avid Ohio State Buckeyes fan. She was a dedicated mom, never missing any of her kids’ activities. On July 20, 1993 she married the love of her life, Mike R. Parsons and he survives in Marion. She is also survived by a son, Jeff (Theresa) Miller, Marion; two daughters, Char Hill, Marion; Darcy (Jamie) Blair, Kent, Washington; eight grandchildren, Brandy, Jacob, Anita, Ricky, Robby, Samantha, Stevie Marie, Donovan; eight great-grandchildren; her mother, Ruth E. Webb, Richwood; three brothers, Charles Ransome, Richwood; Len (Bev) Webb, Marion; Bob (Vicki) Webb, Marion; a sister, Pat Kyle-Beatley, Richwood and many nieces and nephews and dear friends. A memorial service will be held Thursday, February 16, 2017 at 7:00 PM at the Stofcheck-Ballinger Funeral Home, Richwood with Pastor Brian Owens officiating. Friends may call the same day from 4 to 7 PM at the funeral home in Richwood. Memorial gifts may be made to the Marion Area Humane Society, 2264 Richland Road, Marion, OH 43302-8475. Char, Ricky, Robby, and family, we were very sorry to hear of your loss. May you find comfort knowing you now have a guardian angel to watch over and protect you. Hugs to you all. I am so terribly sorry for your loss. May you find strength in each other. I have so many memories of Linda and how she made me feel like one of her own, many years ago. God speed . Sending my deepest sympathies to Char and family. May God's comfort bring peace to your hearts. Jeff and Theresa, Char, and Darcy may your hearts find a way to heal amidst the grief you are experiencing over the loss of your Mom. So very sorry to hear of Linda's passing. We will keep you and all of your families in our prayers. Prayers and deepest sympathy . May she Rest In Peace! Char, My thoughts and prayers to you and your family. So sorry for your family's loss. We will keep you in our thoughts & prayers. Condolences to all your family on the loss of Linda. Praying for you. Aunt Ruth, Pat, Char, and to all of your family, You all are in my thoughts. Prayers for strength at this difficult time. Please know that you all are in our thoughts and prayers. Hugs and God Bless you richly. My thoughts and prayers are with you and all your family. So very sorry for your loss. Sending our love and hugs for all. So sorry for your loss Char and family. You're in my prayers today. Sincerest sympathy and condolences. Sorry for your loss. Mike, sorry for your loss buddy. #22 Private Log in to view. Linda was an Awsome lady who took me under her wing while I lived across the road from Big Brothers/Sisters at the childrens home. She got me my first job working with her at B.B/B.S.. she also became my big sis who was much more to me as such. I loved her dearly and am thankful for the things she did for me. Most of all I love her for seeing enough in me not to give up on me while everone else did. Rest in Peace Beautiful Lady. You will be sadly missed. Sorry for your loss, cherish the memories. You all are in our thoughts and prayers. Just remember a person that departs from this earth never truly leaves, for they are still alive in our hearts and minds, through us, they live on. She will not be forgotten. We were saddened to hear of your loss of Linda. When someone you love becomes a memory, that memory becomes a treasure. With Sincere Sympathy, Ivan & Sue (Dilsaver) Foreman. My sympathies to you both. Momma Linda always took care of me out in the country! Loving caring mom & friend.